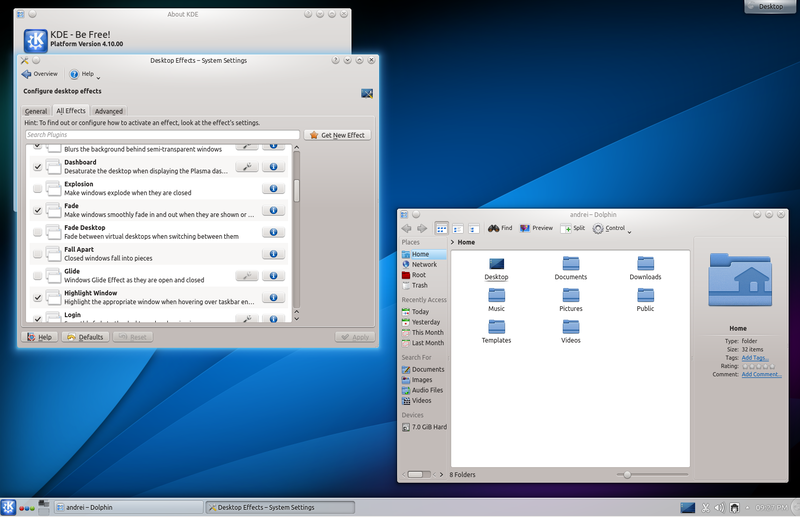 KDE SC 4.10 has been released today with many improvements and additions, including a new QML-based screen locker, additional KWin effects and scripts thanks to GHNS (Get Hot New Stuff) integration, a new print manager, a new Air theme and wallpaper and many improvements to Kate, Dolphin, Konsole, Okular, Gwenview, Kontact, re-written typing tutor and more. As usual, the Kubuntu team has been super fast and the latest KDE SC 4.10 is available for Kubuntu 12.10 or 12.04 users in the Kubuntu Backports PPA, so here's how to upgrade. Before adding the PPA, please note that according to the PPA description, the packages in the Kubuntu Backports PPA might not be tested enough yet, so you may encounter bugs! When running this command, you'll get a full list of packages that are going to be installed and it would be a good idea to save the list somehwere in case you want to remove KDE, because simply removing the "kubuntu-desktop" package won't be enough. Later on if you want to remove KDE, simply run "sudo apt-get remove PACKAGES", where "PACKAGES" is the list of packages that were installed by the "sudo apt-get install kubuntu-desktop" command. After all the packages have been successfully installed, it's probably a good idea to restart the system. If the Plasma theme has some visual glitches when opening the menu, see the comments below. P.s. : if you want to download the KDE SC 4.10 new default wallpaper, you can get it from HERE.